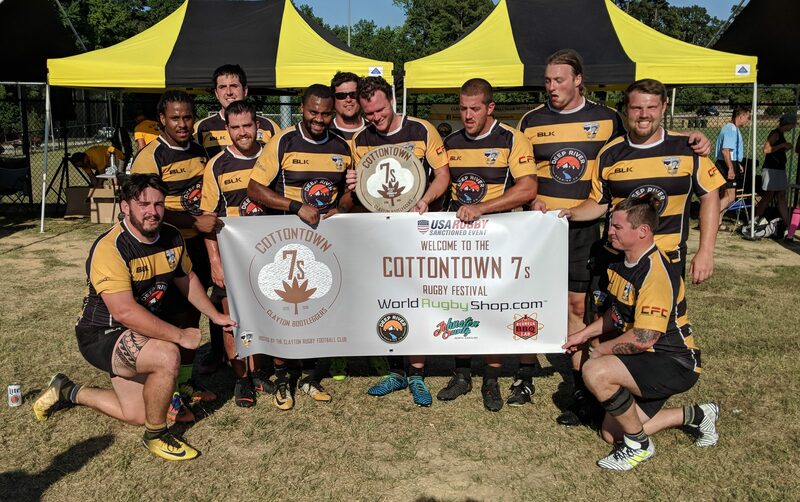 CLAYTON, North Carolina – This past Saturday, the Clayton Rugby Football Club hosted their 3rd Annual CottonTown 7s Rugby Festival. The tournament, which is one of the largest in the Carolinas, took place at East Clayton Community Park. This year’s event drew 29 teams to Clayton for a fun-filled day of rugby and community. An estimated 500-600 people were in attendance between all of the teams and fans as they were welcomed with beautiful weather. The day-long event culminated with the crowning of champions in the Men’s, Women’s, and High School Boys Divisions. Local sides fared well in the tournament with the host Clayton Bootleggers losing in the Men’s Championship, the Women’s Championship was taken home by the Raleigh Venom and the High School Championship saw the Raleigh Redhawks defeating the Clayton Copperheads. The home side Bootleggers enjoyed their best finish ever at the CottonTown 7s with their runner-up finish. 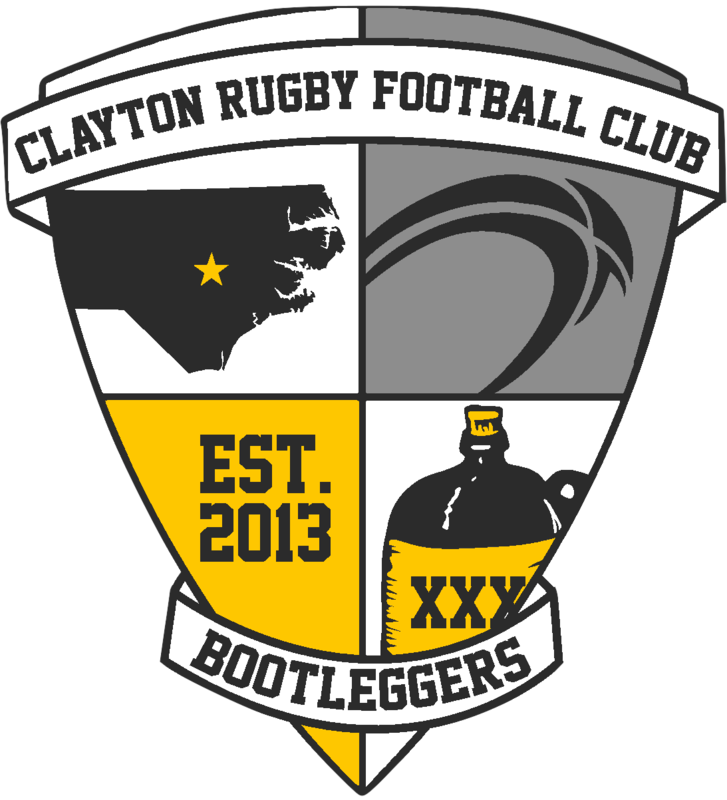 Last season, the Bootleggers lost in the Cup semifinals on a last minute score by Chapel Hill. The Bootleggers defeated Fort Bragg and the 7s touring team Old Toe in pool play which put them up against tournament favorite Southern Pines in the Cup semifinals. Southern Pines had won the previous two CottonTown 7s and had never been beaten on Clayton soil in 7s or XVs. Southern Pines got out to an early lead, but the home side held strong and scored just before the end of the first half to leave the score at 12-5 in favor of Southern Pines. The Bootleggers added another try midway through the second half to pull within two points. With time expiring, the Bootleggers moved the ball deep into Southern Pines’ territory. A couple of nice offloads sent Nick Russell over for the game winning try. In the championship match the Bootleggers faced off against Columbia (SC) Olde Grey. The sides traded tries in the opening minutes, but Olde Grey finished the half strong with two more scores to take a 19-7 lead into the break. Columbia added another score to start the second half as the Bootleggers began to show fatigue. Olde Grey added another score before Clayton finished with a score as they fell in the championship by a score of 33-14. In the Women’s championship the Raleigh Venom avenged a loss earlier in the day to James River by shutting out the side from Virginia 34-0. The all-local High School Boys championship saw the Raleigh Redhawks storm out to a 33-0 half time lead over the Clayton Copperheads as they cruised to a 38-5 victory. For a complete list of all of the scores, please follow this link. The Clayton RFC added a number of new elements to the tournament this year. At the top of that list was a live stream of the action from Field 1. All of the championship matches were also recorded. Event Webcasting, a streaming broadcaster out of Raleigh, provided a professional quality stream of the event for fans that couldn’t make it there in person. The Redneck BBQ Lab was the official food sponsor of the tournament with their award winning BBQ to keep all of the hungry players and fans fed. While beer isn’t allowed at the park, Deep River Brewing Company stepped up and donated water to all of the participating teams. World Rugby Shop provided all of the balls used at the tournament as well as sponsoring the referee jerseys and donating water bottles to all of the teams. The Johnston County Visitor’s Bureau provided gift bags for all of the teams and additional marketing support to the event. Event photography was provided by Jamaal Porter and Tom Lighton. The Clayton RFC would also like to thank VCB Executive Car Services, Kona Ice of Johnston County, Clayton Chiropractic, the Clayton Chamber of Commerce, Johnston Now Magazine, and Sky High Sports for their support of the event. With the tournament finished, work begins on next year’s CottonTown 7s and new challenges await as the event moves from East Clayton Community Park to the Johnston County Rugby Park. The 4th Annual CottonTown 7s Rugby Festival is scheduled for Saturday July 13, 2019 at the Johnston County Rugby Park. Registration is set to open in April of 2019.